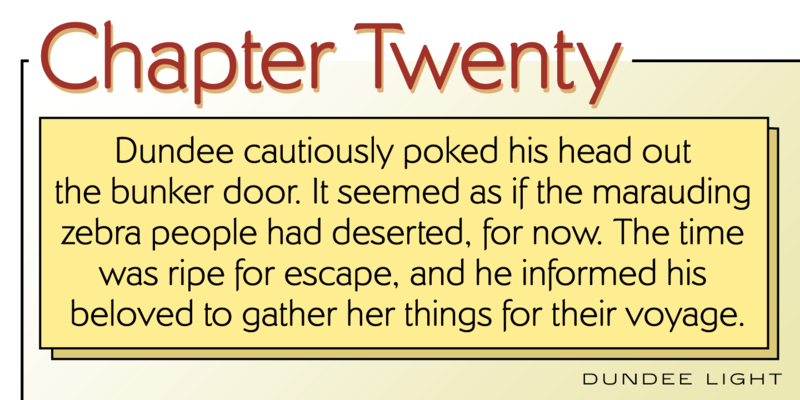 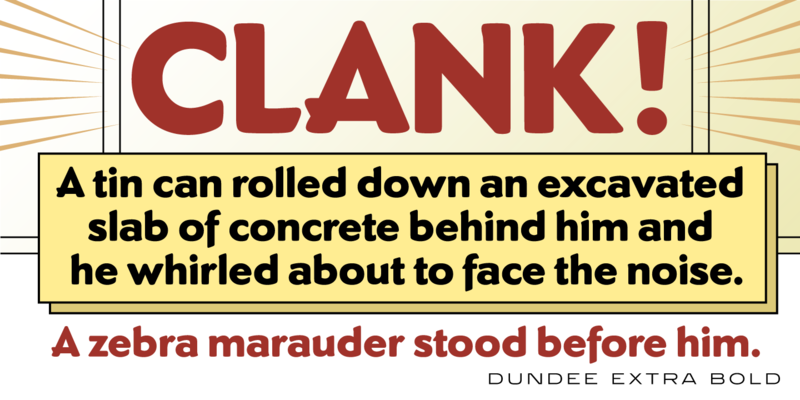 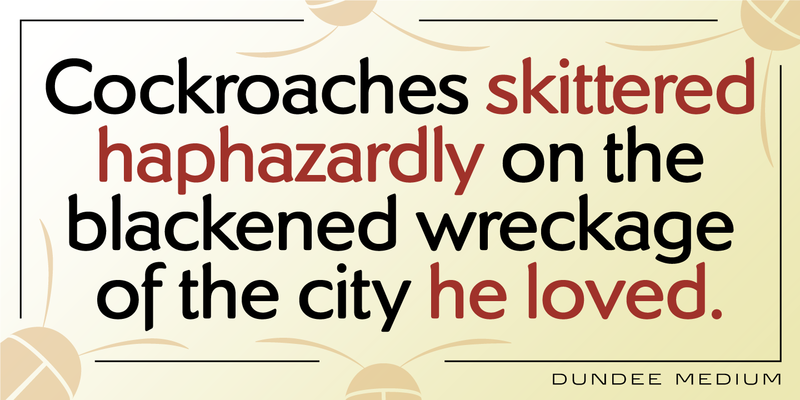 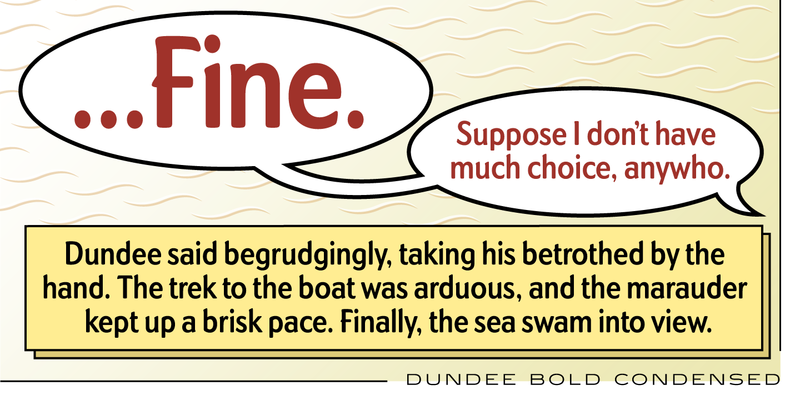 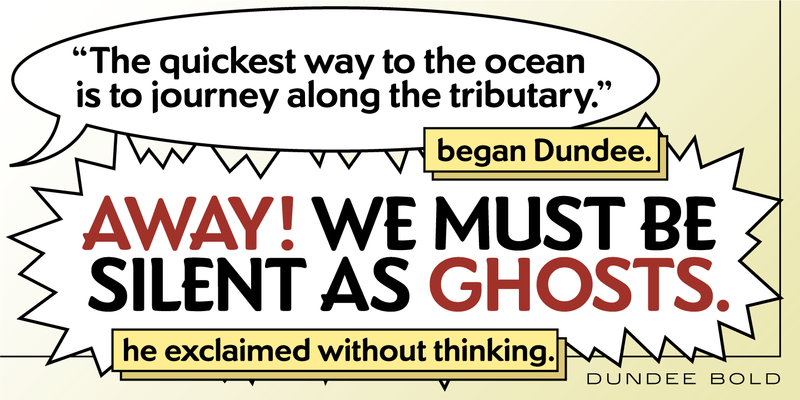 Dundee is a unique glyphic face, in that it can be interpreted as both a serif and sans serif font family. 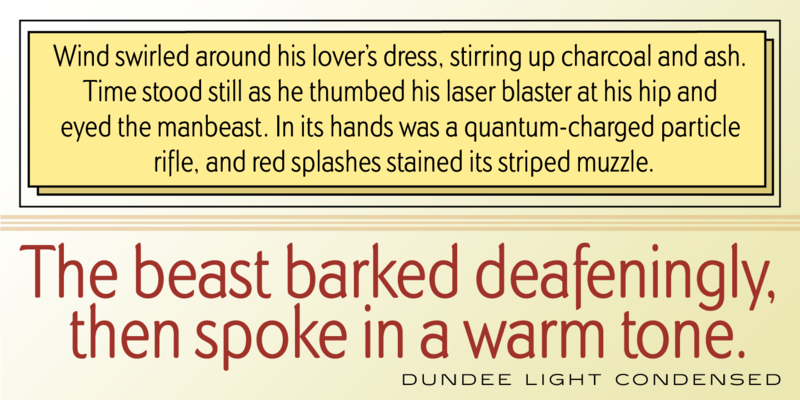 Its digital letterforms were manufactured by Pat Hickson (P&P Hickson) exclusively for the Red Rooster Collection, and its full commercial version was produced by Steve Jackaman (ITF) in 1993. 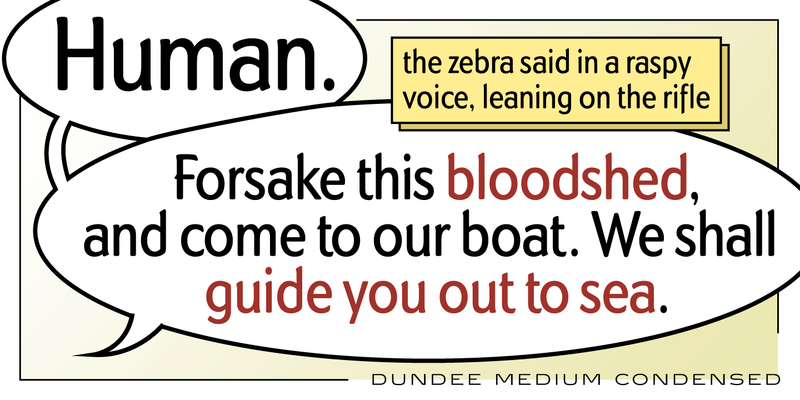 The design of Dundee was inspired by the various mastheads used in children’s comic books in the United Kingdom, which were published by D.C. Thomson of Dundee, Scotland. 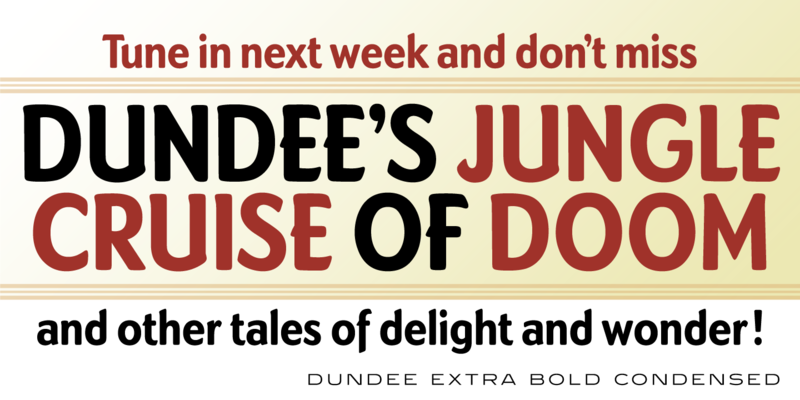 Dundee is dexterous enough to be successful in both serious and fun projects. 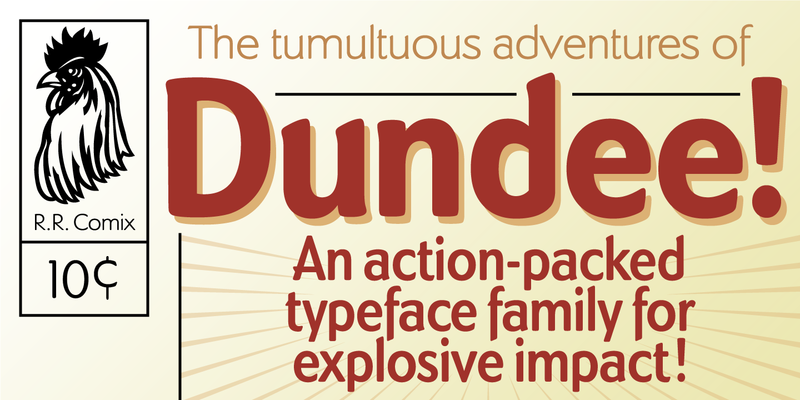 Dundee is a trademark of International TypeFounders, Inc. (ITF). © 1993. International TypeFounders, Inc.